Microneedle arrays (MNs) are micron-scale needles assembled on a transdermal patch. They are a novel and minimally invasive approach for transdermal drug delivery. MNs are capable of creating superficial pathways across the skin for small drugs, macromolecules, nanoparticles, or fluid extractions to achieve enhanced drug delivery. Needles with micrometer dimensions are long enough to penetrate the stratum corneum; by controlling the length of the needles, the skin can be penetrated to a precise depth. Based on design and materials, MNs are roughly divided into the following groups: (i) solid MNs, (ii) coated MNs, (iii) hollow MNs, and (iv) dissolving MNs. We recently focused on dissolving MNs, because of the advantages of direct drug delivery along with the dissolution of the needle in the skin. The materials for such MNs are often safe and non-toxic to the skin. In our study, hyaluronic acid (HA), a common ingredient in skincare products, was found to produce MNs with high biocompatibility and resistance to deformation. The resulting MNs were strong enough to reliably pierce the skin, dissolve, and rapidly release the contained drug into the skin. Furthermore, the absence of a heating step and organic solvents during fabrication proved to be a notable advantage in preserving the stability of incorporated drugs. 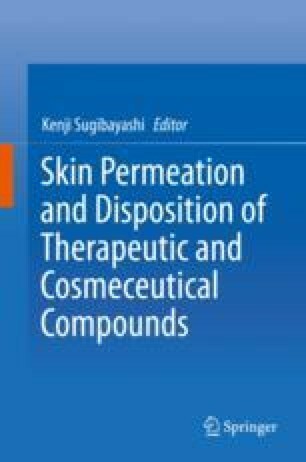 In this chapter, recent challenges in the development of new transdermal drug delivery systems using dissolving HA MNs are summarized. Future prospects of HA MNs are also discussed in terms of clinical application.